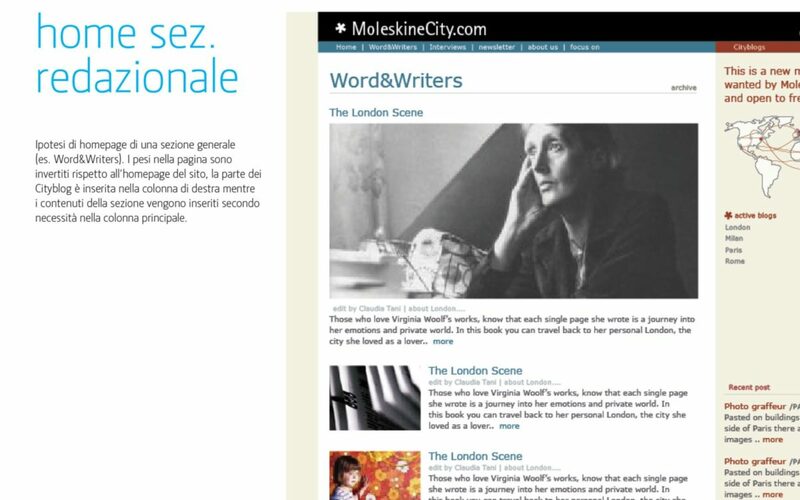 In 2007, Moleskine decided to promote the launch of City Notebooks - the first guide you write yourself on the web, with a project dedicated to cities, travellers as well as residents. 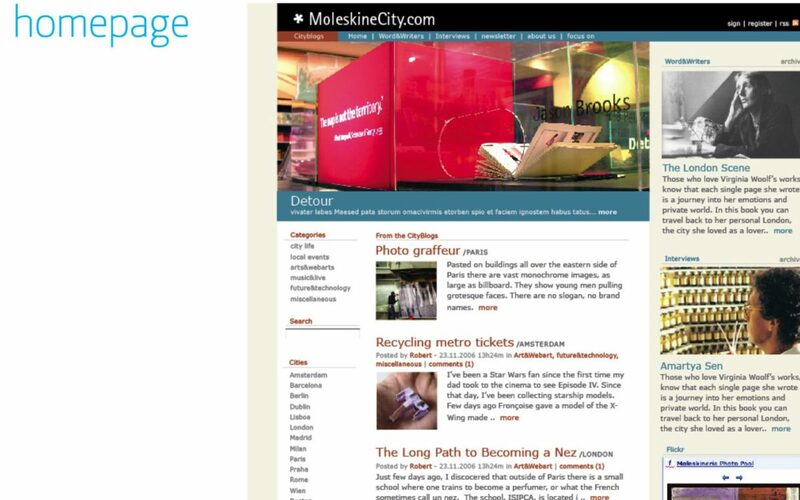 In order to achieve this task, we created a city blog for every published City Notebook. 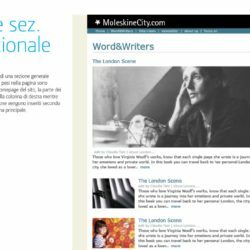 These blogs were fed by local users and coordinated by Mediaformat, an Italian content house that also took care of content creation for the main portal. 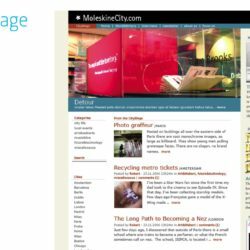 All the blogs, in fact, were aggregated into a single platform named "Moleskinecity.com". 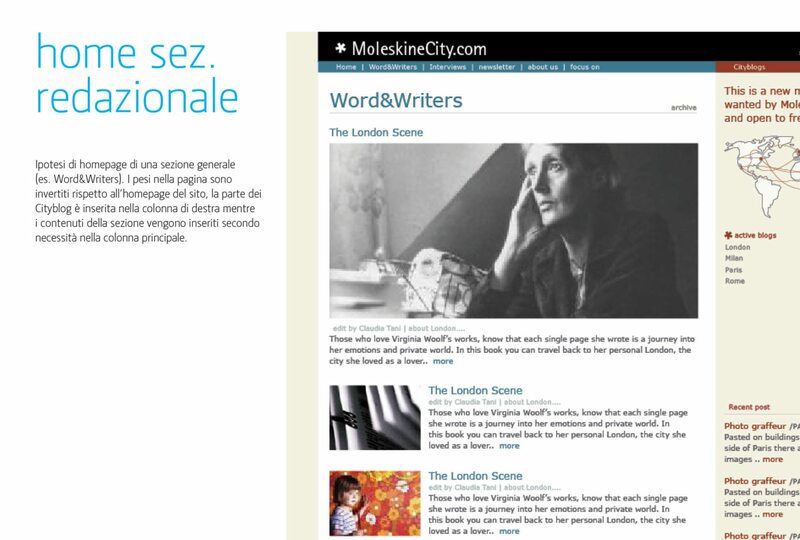 Zetalab, a Milan-based communication agency, made the graphic design. 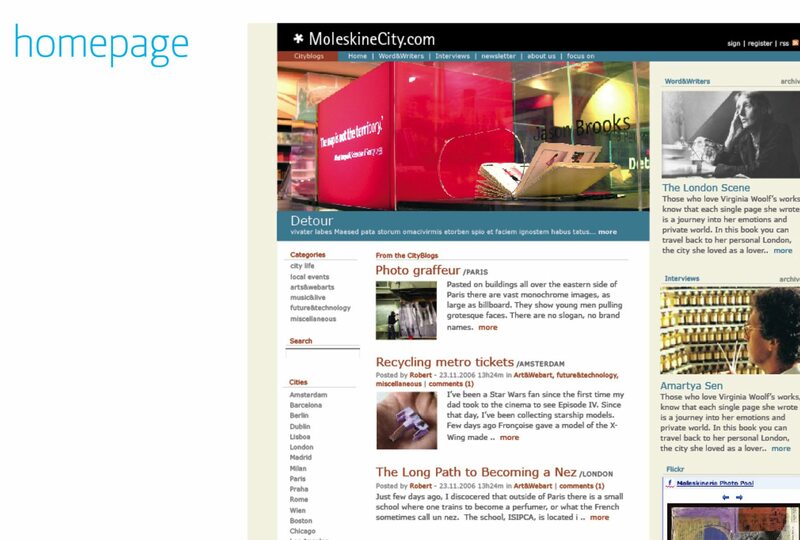 Website design & development + seo + content management & editorial coordination. In collaboration with Mediaformat and Zetalab.